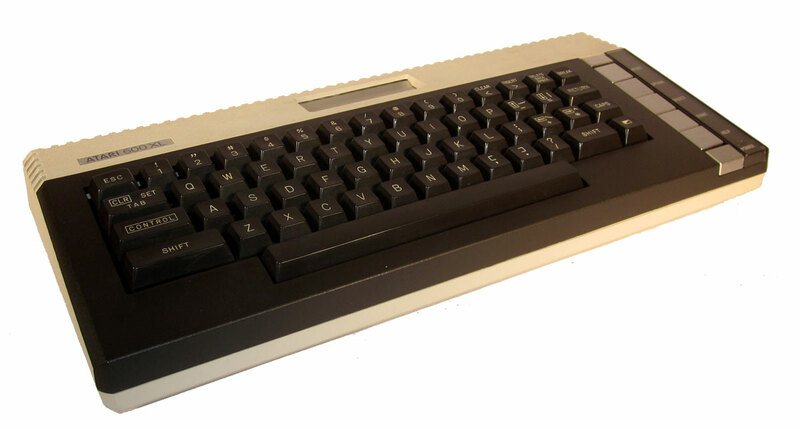 The images of the Atari 600XL Computer are categorized and show the cpu, joystick controllers and accessories. You will also find detailed close-ups of the ports and connections available on the 600XL. The Atari 600XL computer- top view. The Atari 600XL computer- front view. 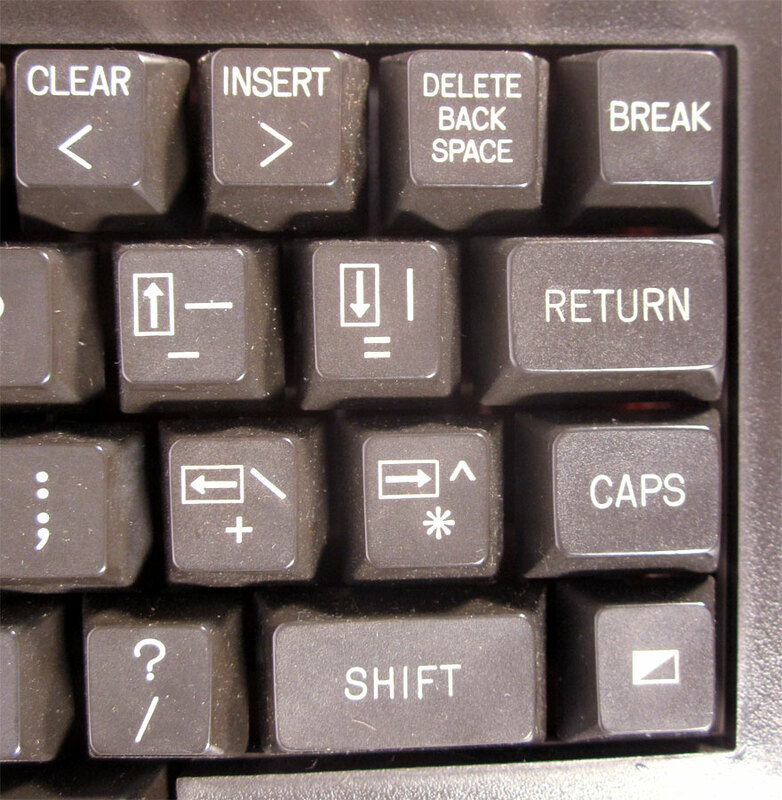 The Atari 600XL special keys on te left side of the keyboard. 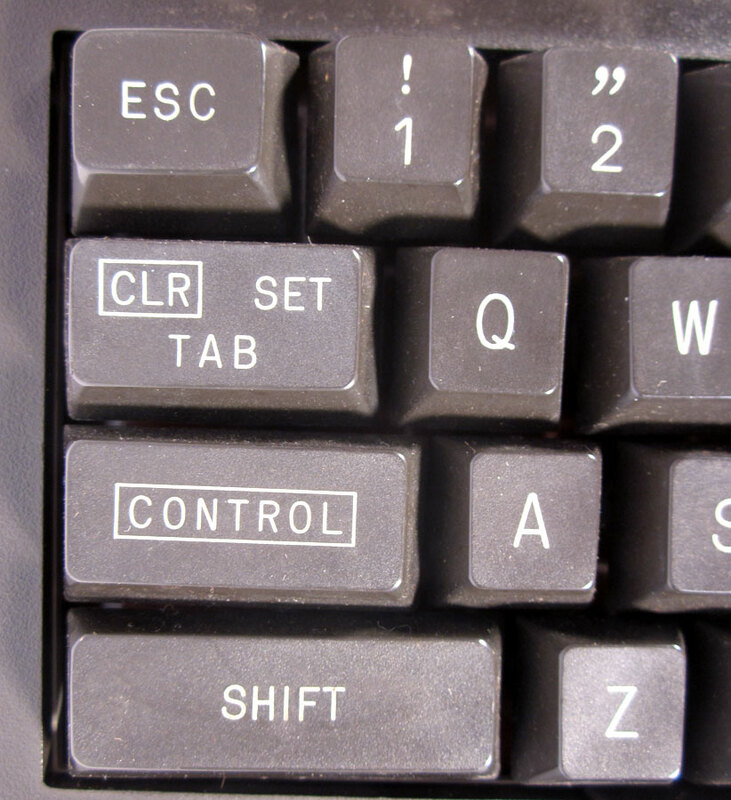 The Atari 600XL special keys on te right side of the keyboard. The Atari 600XL computer- left side. The Atari 600XL computer- right side. The Atari 600XL computer- right side showing the 2 controller ports. 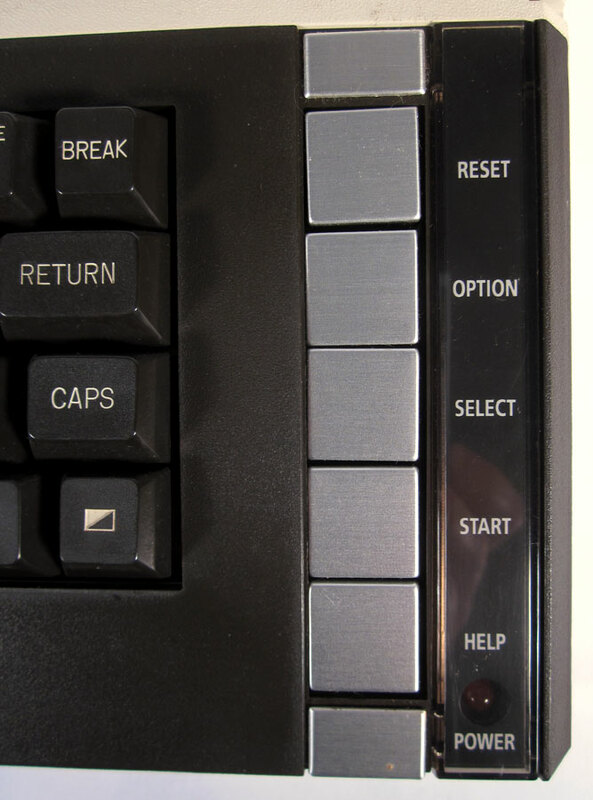 The Atari 600XL computer- right side showing detail fo the function buttons on the right side. The Atari 600XL computer- rear view. The Atari 600XL computer- rear view showing the Peripheral port, parallel port, RF port, Channel selector switch, A/C Power port and power switch. 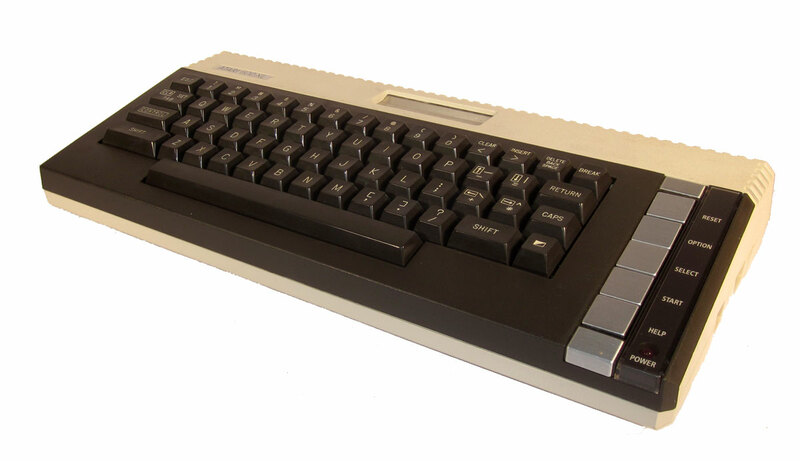 The Atari 600XL computer - bottom. 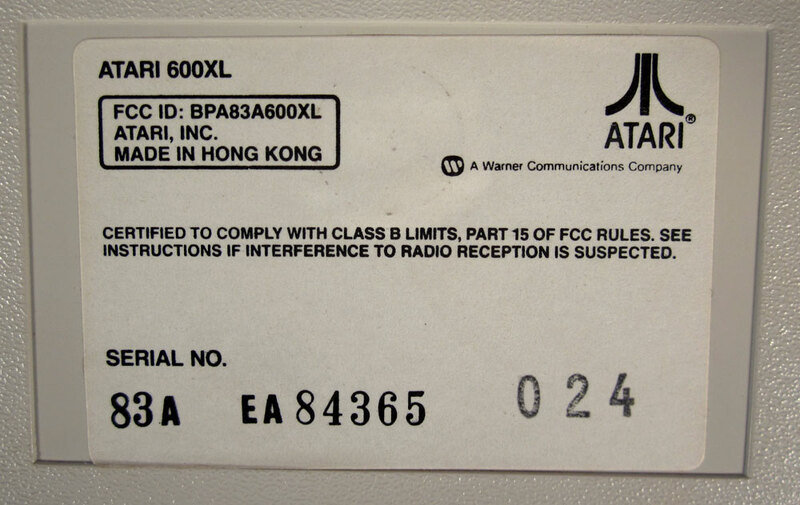 The Atari 600XL computer - bottom showing the detail of the serial number and FCC info. 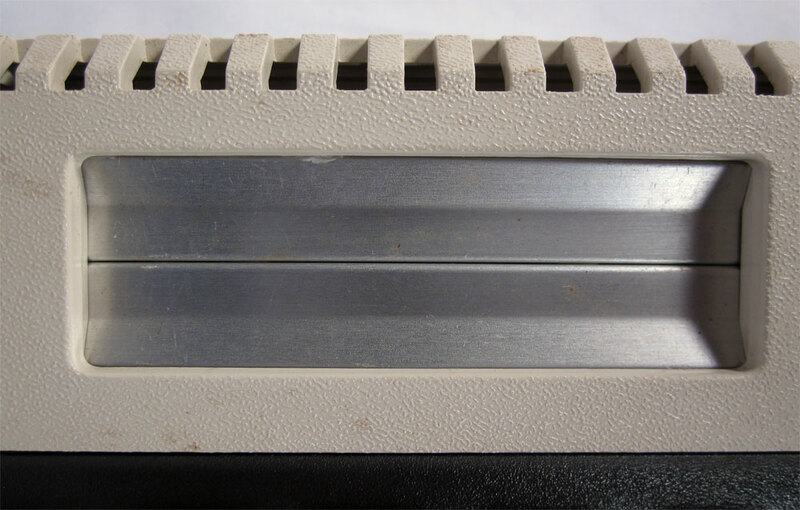 The Atari 600XL cartridge slot on the top of the unit. 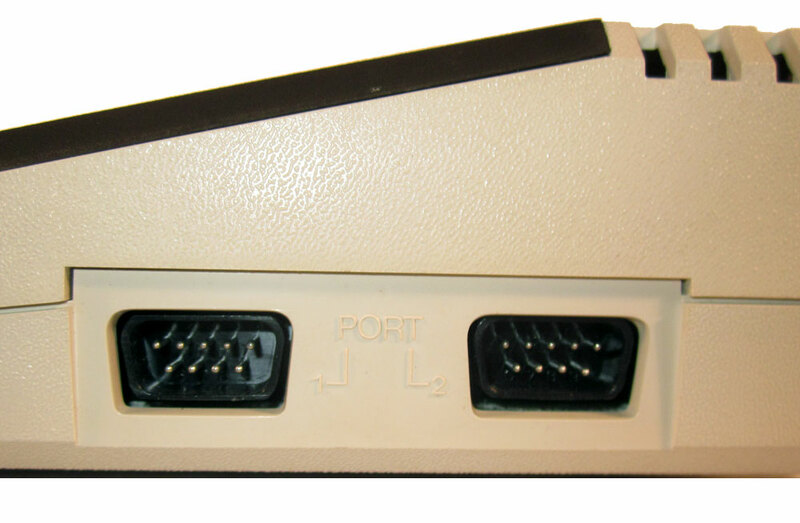 The Atari 600XL controller ports on the right side. The 2 flaps fold down as a cartridge is pushed into place. 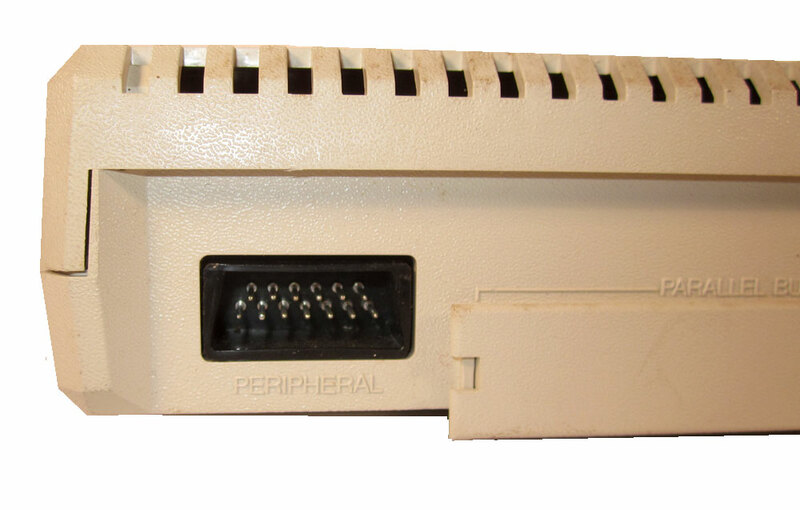 The Atari 600XL Peripheral port on the back left side. 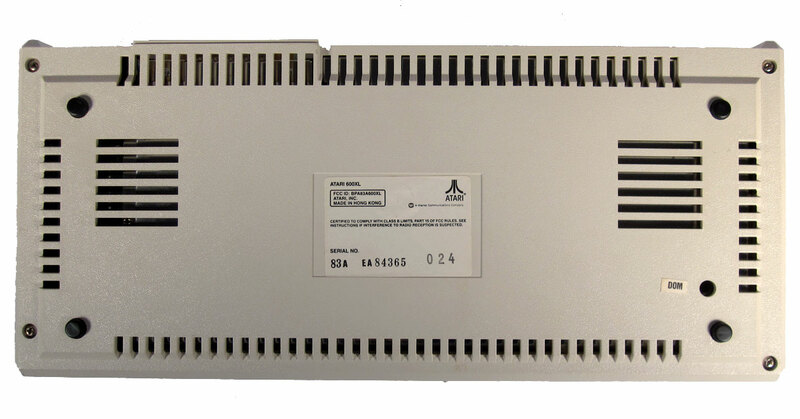 The Atari 600XL Parallel Bus on the rear side. 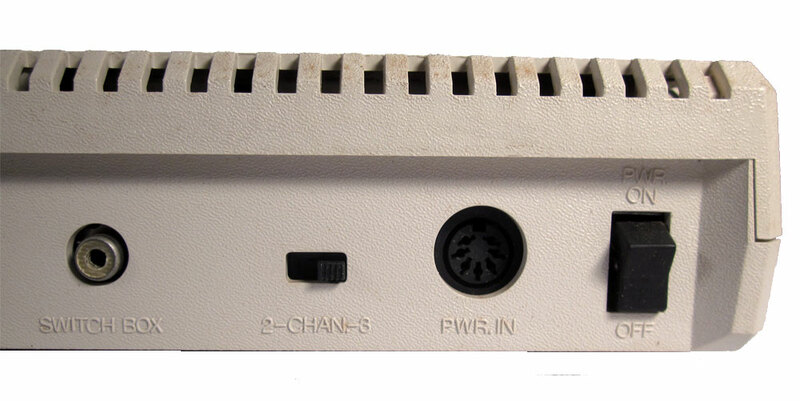 The Atari 600XL rear ports showing the RF port, Channel selector switch, A/C Power port and power switch on the back right side.